Diagnostic medical sonography’s societies and organizations play an important role in the recognition and promotion of medical imaging in medicine today, and many offer membership to aspiring students or professions within the field. While there are typically dues to pay to these non-profits, the benefit of membership can outweigh the cost. If you’re currently a student pursuing an education in medical imaging, a seasoned professional, or somewhere in between, consider joining a local or national DMS organization. Founded in 1975, the ARDMS is a non-profit organization that is the primary accrediting agency of ultrasound technicians. The mission of the ARDMS is to “empower sonographers to provide exceptional patient care through rigorous assessments and continual learning”. 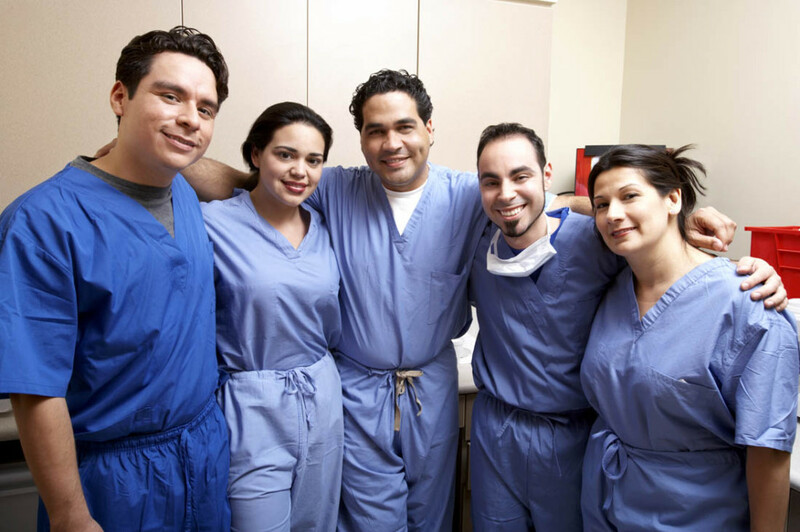 They offer certification in 6 different specialties, and you must pass their exams to earn their credentials. ARDMS members can use their tracking tool to monitor CME requirements and renewals, thus avoiding lapses and saving time and money. The SDMS is a membership organization founded in 1970 that serves to promote, advance and educate its members. The SDMS also offers continuing Continuing Medical Education (CME) courses that are accepted by the major accrediting agencies. Members benefits include exclusive access to salary data, professional liability insurance, and a nation-wide career center, with standard dues at $160.00 per year. This is the largest accrediting agency in health sciences. They review and accredit educational programs in 30 health science occupations. When reviewing the accreditation of a program you’re considering attending, theirs is the generally the best one to look for. They offer a search function on their website that enable you to quickly find accredited programs in your area. Completion of a CAAHEP accredited program is one of the prerequisite options for sitting for the ARDMS exam. Formed in 1968, the CCI is a non-profit organization offering credentials within cardiovascular specialties, including advanced cardiac sonography. Not all states require licensing or certification, but of those that do, the credentials of the CCI are typically used. There is also a tool on their website to verify the credentials of an individual practitioner. The ARRT is the world’s largest credentialing organization for those in medical imaging and radiation therapy. They help to set standards, ethics, and continuing education requirements. Their stated mission is to “promote high standards of patient care by recognizing qualified individuals in medical imaging, interventional procedures, and radiation therapy”. The ARRT was founded in 1920 and offers 9 different credentials, including 3 in Sonography. The ASE is a membership organization comprised of professionals within the field of cardiography. They offer contributions to the guidelines, ethics and standards within cardiography, as well as continuing medical education (CME). Membership benefits include discounts on courses, online CME classes, and CME/MOC/CEU reporting, with rates starting at $75.00 per year. Another membership organization for radiologists and those in related careers. Dedicated to advancing the science of radiology by advocating for patient care, conducting research, and providing CME. Pearson VUE offers testing for a variety of disciplines through a secure network of testing centers. They administer the exams for both the ARDMS and the CCI. Testing locations can be found on their website.